Do you need to know how to start your own business? Starting a business can be a complicated process, making an experienced business attorney a necessity. The Williams Firm’s business and corporate attorneys specialize in representing start-up companies. The business and corporate attorneys of The Williams Firm have assisted numerous business start-ups in a wide variety of fields and industries. The Firm not only represents start-up businesses but also directors, officers, partners, managers, members, founders, entrepreneurs and executives. 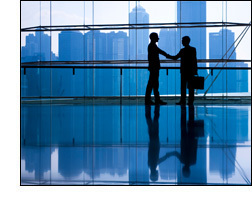 The Firm’s corporate and business attorneys all have over 20 years of experience. The Williams Firm also provides expertise in intellectual property to start-up companies. The protection of a start-up company’s intellectual property is very important and the intellectual property attorneys of the Williams Firm can provide the necessary expertise to protect your intellectual property. The Firm represents a wide variety of traditional and high technology businesses in the protection of intellectual property. Our head intellectual property attorney taught law school intellectual property courses, served as the founding president of the Intellectual Property Section of the Contra Costa County Bar Association and has over 20 years of intellectual property experience. The business and corporate attorneys at The Williams Firm Walnut Creek office also assist with resolving disputes and effective representation of clients in business and commercial litigation. Contact a business and corporate attorney who can assist with your start-up business.